Are Implants The Solution To Sleep Apnea? It is no surprise that people are struggling with their sleep today with the number of distractions all around us. Many of you are probably guilty of doing this; fiddling with your smartphones even if you are already tucked in bed with the lights off. It means you are exposed to blue light that is bad for your health and are further sleep-deprived as you can go on and on late into the night and the wee hours of the morning surfing the web and checking out your social media news feed. But there are those individuals who lose sleep not because of their own doing but due to a medical condition that is known as sleep apnea. Sleep apnea is often associated with snoring for a good reason. 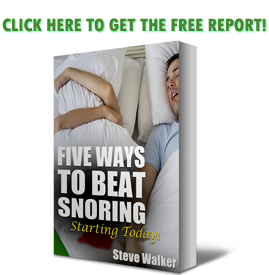 Most individuals diagnosed with sleep apnea snore but it does not follow the premise that all snorers have sleep apnea. What’s disconcerting about this condition is that the person actually experiences bouts of breathing pauses during their sleep as the brain decides which is more important, breathing or sleep. Imagine that. You literally stop breathing in your sleep not just once but multiple times and it happens to you every single time you close your eyes and drift off to dreamland. Such a scary thought, indeed. Sleep apnea (where your brain doesn’t properly send breathing signals while resting) is horrible enough by itself, but the solutions to it can be scary: you may have to take medication, rely on ungainly breathing machines or opt for invasive surgery. You might have a gentler treatment going forward, though. The US Food and Drug Administration has approved an implantable device, Respicardia’s Remede System, that fights more serious cases of sleep apnea. The hardware amounts to a battery pack (slipped under your skin in the upper chest) and wires that enter the blood vessels near the nerve that stimulates your breathing. If you stop breathing normally in mid-sleep, Remede stimulates that nerve to move your diaphragm and keep you breathing. Think of it as an on-demand jumpstart for your respiratory system. Knowing how serious and common sleep apnea is, it helps that newer technologies are being developed and introduced to the public that can potentially save them from dying in their sleep. 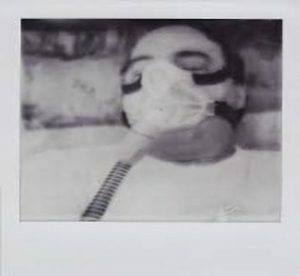 The difficulties faced by patients in using CPAP is often the reason why they discontinue treatment even without alerting their doctors. It is really troubling knowing how it attacks you in your sleep (if you can sleep at all) when you are the most vulnerable. However, you may possibly save your life with the use of these gadgets and implants that may be alternatives to CPAP and surgery in correcting anatomical problems that lead to sleep apnea.